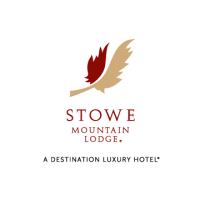 With 56,000 square feet of flexible meeting rooms and event space, Stowe Mountain Lodge offers the perfect destination for your next meeting. Get inspired by the vast mountainside backdrop, and escape to New England’s premier mountainside lodging. Located at the heart of Stowe Mountain Resort, guests have access to activities like the Ziptour and Treetop Adventure Course, indoor rock climbing, and the Gondola Skyride. Opportunities for teambuilding and recreation are endless at this luxury meeting destination. Card bearer is entitled to a 20% discount off the published rack rate. Card must be presented at the front desk upon check-in to receive the discount. Offer will be valid for non holidays only (ask specific properties for their holiday dates) it is not available in combination with any other discounted rates such as Internet rates, group rates, etc. some other restrictions may apply.